Car and truck washings are easily affected by rust and mold, as there is always a lot of water in circulation. If the carwash enclosure is being dehumidified these problems will not occur. In maintenance and production industries dehumidification can be very efficient. Some places can seem more obvious to dehumidify than others, for example a carwash. 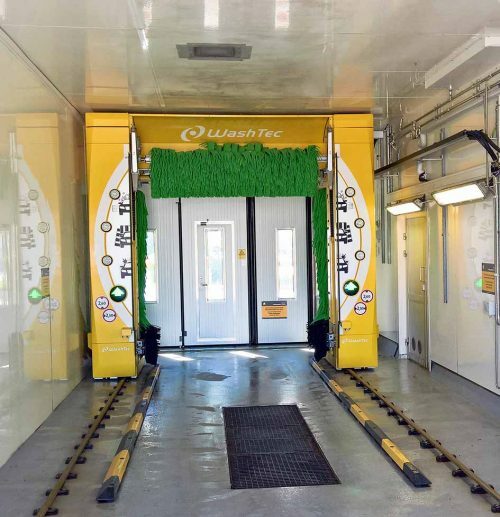 DST’s representative Kryotherm in Finland have sold dehumidifiers that have been installed in carwashes. There is always a lot of water in circulation which makes it nearly impossible for the space to completely dry after each use. If the enclosure never gets dried properly electronics can stop working, metal can rust and mold can start to grow. When the carwash isn’t being used, it’s a good idea to use a dehumidifier so that the space gets dry thus ensuring no moisture problems will occur. It is almost the same regarding truck washes but the only difference is that there washing enclosures are larger so it takes larger dehumidifiers to get the right relative humidity. In Finland, there is a dozen car washes where DST dehumidifiers have been installed and set to hold 60% relative humidity when the hall isn’t being used. This means that with an installed DST dehumidifier the car and truck washes won’t have any moisture or mold problems.